Bradley Wiggins (Sky) moved one step closer to Paris after he successfully saw off the final stage in the Pyrenees with a third place finish behind stage winner Alejandro Valverde (Movistar). Valverde, back from a two-year doping suspension which ended at the start of the year, was the sole remnant of the day’s break and narrowly held on to his lead on the final climb to Peyragudes as Wiggins and team-mate Chris Froome were in hot pursuit. Behind the pair the remaining favourites including Vincenzo Nibali (Liquigas-Cannondale) lost further time and barring catastrophe Sky now look to have secured the top two places on the podium with two flat stages and a time trial remaining. Yet on a day that promised aggression from Sky’s rivals, we were left with intrigue and possibility from the final few kilometres of the climb as once again Froome looked stronger than leader Wiggins. Once the pair had broken free from Jurgen Vandenbroeck (Lotto-Belisol) and Thibaut Pinot (FDJ-BigMat), with Valverde 30 seconds up the road, Froome could been seen urging and cajoling Wiggins onwards. 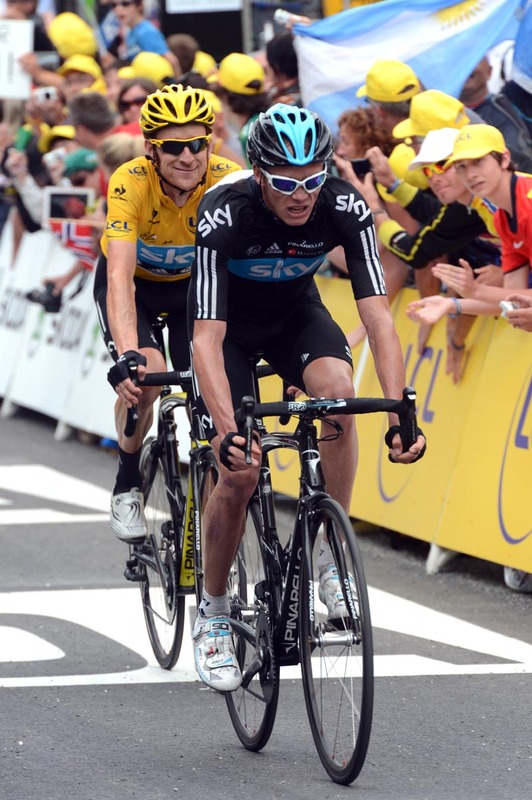 Froome remained with Wiggins, either at the behest of the yellow jersey or through team orders, and led his leader to the line less than 20 seconds behind the stage winner. Whether Froome could have won the stage, how much time he could have gained on Wiggins, and what he was saying to his leader, remain unknown. Meanwhile it was an opportunity lost for Nibali whose Liquigas team did much of the work on the front of the peloton during the day. Their leader’s strength failed when it most mattered, as Sky upped the pace on the final climb, and with it went his hopes of knocking Froome off second spot. In sharp contrast to yesterday’s scorcher, the Pyrenees returned to their mist-shrouded and mysterious character on the last of the days in the mountains for the peloton. Thomas Voeckler (Europcar) and Fredrik Kessiakoff (Astana) both made the early break and fought tooth and nail for the points in the King of the Mountains classification, the Frenchman coming out on top over the first three climbs of the day to extend his lead. The anticipated downhill attack from Nibali and Liquigas never came and it took until the final ascent of the Col du Peyresourde and Peyragudes for the action to really come to the boil. With Valverde the last remaining escapee 90 seconds up the road, Wiggins and Froome began to wind the pace with 10 kilometres remaining, unusually short on their team-mates who have so often accompanied them on the Tour’s uphill challenges. 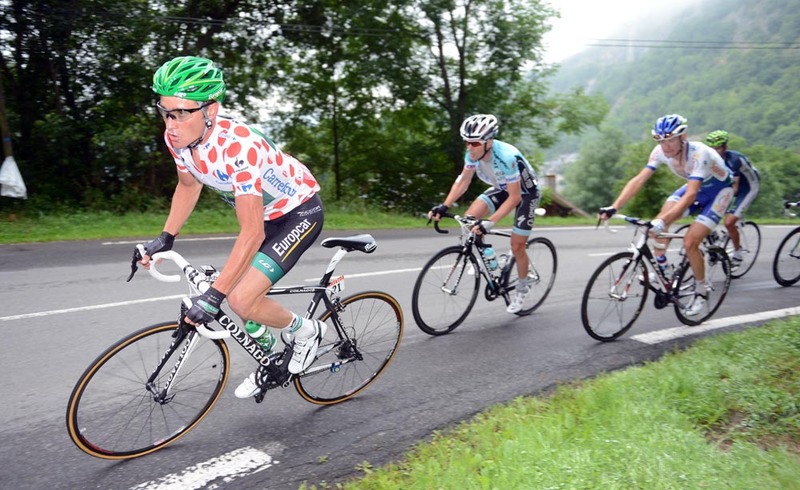 They parted the crowds to Peyragudes and emerged alone with 2.7km to go, from where none could stay with them. Wiggins thanked a united team after the stage for their sacrifices in helping him reach the run in to Paris with yellow on his shoulders. Yet the ramifications of the scale of that sacfirice, in particular from Froome, could lead to an interesting final few days for Wiggins and Sky. 3. Bradley Wiggins (GBr) Team Sky s.t. 6. Jurgen Van den Broeck (Bel) Lotto-Belisol s.t.